Help make the dream of homeownership a reality. When you give to Habitat Hillsborough, you know your support stays in the local community in which you live and work, allowing you to personally see and feel the benefits of your generosity. 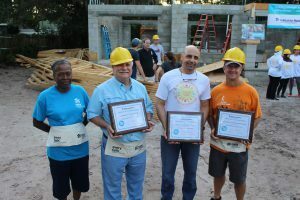 There are many benefits to a partnership with Habitat Hillsborough that go beyond the social benefits of supporting the construction of affordable housing. Depending on the level of partnership, your company would be able to leverage the Habitat name, sharing your story of partnership within the community. If you are interested in sponsoring a Habitat Hillsborough Home please contact Melissa Jay at mjay@habitathillsborough.org . Let us share our mission and our vision for Hillsborough County. We cannot build without your support. 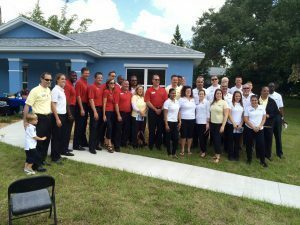 Habitat for Humanity of Hillsborough County Florida, Inc. (HFHHC) respects the privacy of our families, doors, volunteers, partners and customers. We place a high priority on protecting the personal information you provide. This Privacy Promise is provided to assure you that all information provided to HFHHC in the course of business transactions is disclosed only within HFHHC and third parties as allowed or required by law. We do not sell any lists.